Last Saturday, March 24, 2018, giving was everyone’s cup of tea at the 26th Annual Hosparus Health of Central Kentucky Tea and Auction presented by Tender Touch Senior Services. 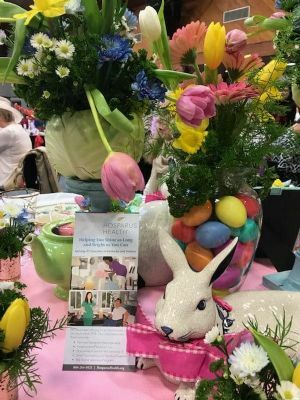 The theme was “Whimsical Gardens Par-Tea,” as table decorators showed off their creative side by creating custom center pieces and place settings for eight at the Pritchard Community Center. There were also beautiful silent auction items ranging from jellies and jams to gift baskets. It was a beautiful site to see with over 370 people there which raised over $30,000. Proceeds will go towards the Hosparus mission, providing hospice care for patients of life-limiting illnesses and bereavement services for their families. Tender Touch Senior Services is truly grateful for the opportunity to help take part in this event for another year. The Hosparus Health of Central Kentucky serves five of the twelve counties that Tender Touch provides services in: Hardin, LaRue, Breckenridge, Meade, and Grayson. Tender Touch Senior Services takes great comfort in knowing that if a client is nearing end of life due to an illness that Hosparus Health will be there as an excellent resource to help ensure that the client and their families are cared for. Be sure to help the Elizabethtown tradition continue and look out for next years Hosparus Health of Central Kentucky Tea and Auction. Seating is limited, and tickets do sell quickly. Hope to see you there! Each table was uniquely decorated. 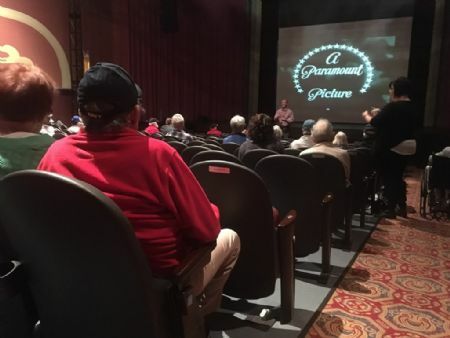 It was like going back in time as seniors gathered at the Elizabethtown Historic State Theater to watch the first film that was ever played there, “The Fleets In.” This film was enjoyed by participants at Care4Ever and residents from the Carl M. Brashear Radcliff Veterans center. Tender Touch Senior Services provided transportations for the group outing and catered a hot lunch. 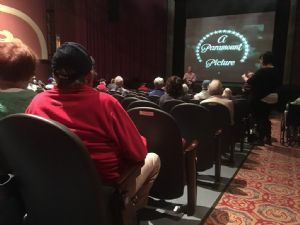 Chatter filled the air after the film as residents and participants enjoyed a meal together. For many the 1942 musical comedy film brought back memories of their time serving our great country. 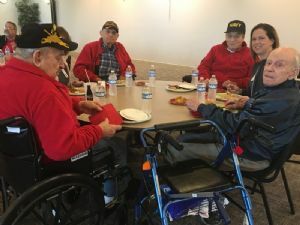 Tender Touch Senior Services are blessed to take part in this outing and like to thank all of our veterans who have served and those actively serving now in the military.